James completed his B.Sc. in Physics and Bachelor of Chemical Engineering degrees at Auburn University. He joined the Manfra GaAs research group in May 2015, and is studying the fractional quantum Hall states in high mobility GaAs/AlGaAs heterostructures. 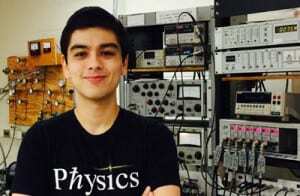 He is currently a Ph.D. student in Physics at Purdue University.